It's been a long week. This will help. Smile, and the whole world smiles with you, Nick. He just did WHAT? He did not. No, he did actually. Because he's Nick Kyrgios and of course he did. 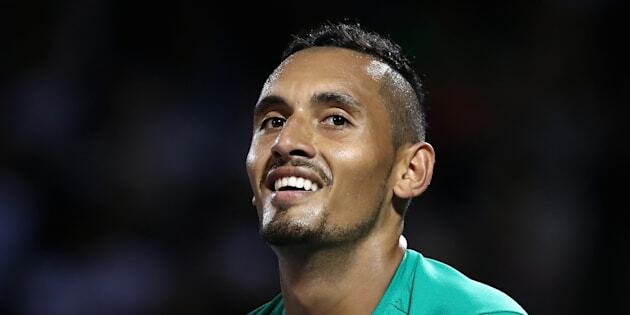 Nick Kyrgios has been in the news a bit this week, primarily because of touching gesture involving a ball boy which we told you about earlier. There's also been, y'know, the tennis. The 21-year-old Aussie has made the quarter finals or semis of his last three tournaments. Wait, make that four. He's now in the semis of the Miami Open where he will face Roger Federer. To get to that match, Kyrgios had to beat rapidly rising German star Alexander Zverev in the quarters. This he achieved, but only after a super tense battle in which he required five match points spread across two sets to get the job done. The audacity of that shot. 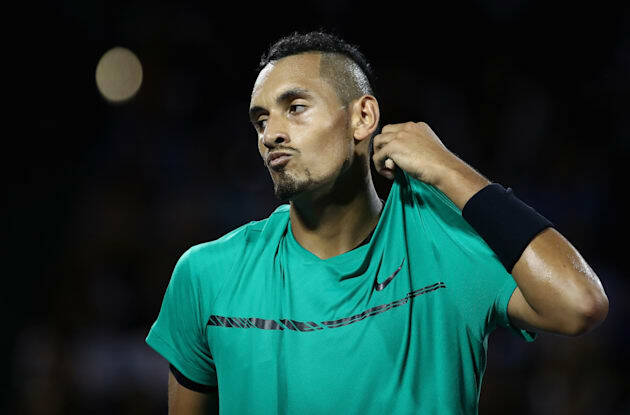 Nick Kyrgios' "tweener" shots really shouldn't work so often, yet they've done the business in Tokyo, Madrid (where he played a ridiculous lob tweener), Miami, and Melbourne, where he famously played one for no reason when his opponent was serving for the match. But there was an even better Kyrgios moment in the Zverev match. It came when Kyrgios WON a point, but ordered it to be reviewed because he thought his opponent's ball was in. Which it was. Zverev duly gave Kyrgios a thumbs-up for his sportsmanship. And Kyrgios responded by yelling out "I want to see that social media". Which by now, he would have. "I want to see that on social media"
Kyrgios has been in good spirits in recent weeks too, with only a couple of very minor blow-ups. It's hard not to draw a line between that, and his consistent form.